Preston's Coffee Variety and Sample Pack. Build you own variety pack! Mix and match all of the flavors! 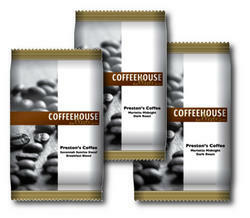 Choose from the following 3 Types of Preston's Coffee - Coffeehouse Collection. Ground Coffee, Easy to Use. Each Package Contains 1.75 oz of Preston's Coffee - Coffeehouse Collection.